"**LIVE EVERYDAY AS IF IT WAS YOUR LAST**"
SORRY FOR ALL THE REQUESTS THAT WAS LEFT ON MY PAGE, BUT I HAVE BEEN MAKING SOME MAJOR CHANGES IN MY LIFE AND I WILL NOT BE MAKING REQUESTS UNTIL FURTHER NOTICE!! SORRY ABOUT EVERYONE WHO LEFT A REQUESTS ON MY PAGE!!! 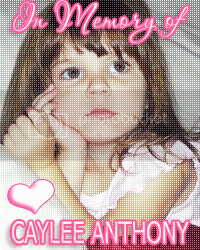 R.I.P CAYLEE ANTHONY HOW COULD SOMEONE HARM A CHILD SO PRECIOUS, ESPECIALLY HOW COULD A MOTHER HARM HER OWN CHILD LIKE THE WAY CAYLEE MOTHER DID HER!! CAYLEE WAS A PRECIOUS SWEET ANGEL HERE ON EARTH BUT NOW SHES GONE TO A BETTER PLACE CALLED HEAVEN! CAYLEE ALOT OF US MIGHT NOT OF KNOWN YOU BUT YOU TOUCHED THE HEARTS OF US ALL. GONE BUT NEVER FORGOTTEN CAYLEE!! Login or register to add laylasmommy06 as your friend!